Our Recruiting Division helps our clients find, recruit and hire qualified manufacturing professionals to fill their open positions. Our expertise is any position found in manufacturing such as: Any type of Engineer (Ex: Quality, Industrial, Manufacturing, Process, Metallugical Engineers), Plant Managers, Manufacturing Managers, Any Department Manager, Production Supervisors, Accountants, Salesmen, Estimators, Trainers, Lab Techncians, Materials, Logistics, Buyers, and the like. We also do skilled trades such as Maintenance and Tool and Die Techs as they are getting harder and harder to find. We are hands-on Productivity Consultants to the Manufacturing, Services and Healthcare industries. Our mission is to provide professional, high quality and high energy consulting services implementing operational improvements that result in immediate and long term savings and benefits which exceed the client's expectations. 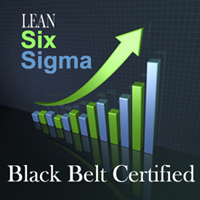 In addition to being Lean Six Sigma Black Belts, our expertise and core competency is Industrial Engineering, Lean Implementation and Continuous Improvement with a very strong emphasis on Cost Reduction and Waste Elimination.